Cannondale Quick 7 2019 Womens Hybrid Bike Midnight Blue; Start the cycle. The Cannondale Quick 7 women’s is a hybrid sports bike that offers a smooth, stable, and confident ride in town and country. Have you found the Cannondale Quick 7 2019 Womens Hybrid Bike Midnight Blue Cheaper? Start the cycle. 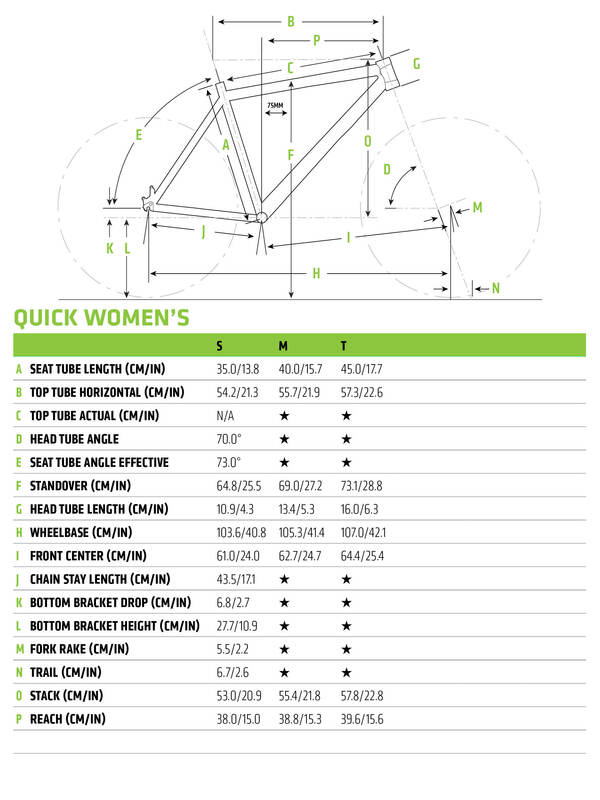 The Cannondale Quick 7 women’s is a hybrid sports bike that offers a smooth, stable, and confident ride in town and country. Comfort is king. SAVE micro suspension is built into the frame to soak up the road vibrations for a smoother ride, leaving you feeling less fatigued when you reach your destination. Subtle rack and mudguard mounts give you the versatility you need for all-year-round cycling, while bright reflective graphics enhance your visibility in low light conditions. The Shimano 3x8 speed drivetrain offers reliable shifting and a wide range of gears for taking on all the ups and downs on your route. The Cannondale Quick 7 is hybrid sports bike that is ready for adventure. What do you think of Cannondale Quick 7 2019 Womens Hybrid Bike Midnight Blue?